This was a project that took place right inside of our office! The large 13×13 shag area rug had normal every day traffic spots accompanied by multiple large black stains. 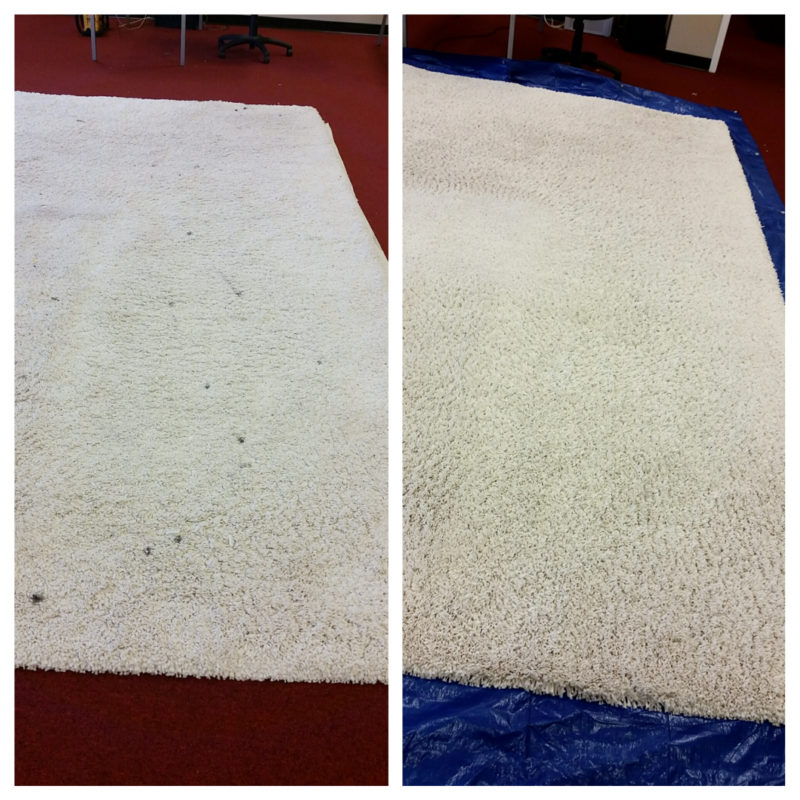 Our technicians gave this beautiful rug a cold water bath before tackling each individual black stain. With our one of a kind process, our team of highly skilled technicians were able to completely remove the high traffic areas as well as all of the black stains. To ensure these types of stains do not reoccur, we raked in our premium protector to repel any type of liquid that could damage the carpets. Protector gets deep into the carpet fibers and adds a protective coating so accidents and or spots cannot be absorbed into the fibers.